Several month ago, thanks to the generosity of my “Where We Live” associate and long-time friend, John Silveira, I became the proud owner of a Canon 400 millimeter prime telephoto lens. I think he was weary of listening to me weep and moan about the difficulty I have photographing birds on the wing without a telephoto lens. However, with the weight of this lens (about 8 pounds) and its specific light requirements, it took two weeks and about 200 practice shots for me to learn how to use it. Unfortunately, after completing this learning period, winter settled in on the East Coast, grabbed it by the throat and held tight. We are approaching the end of March, and the beginning of spring while in the grip of record-breaking cold and snow. 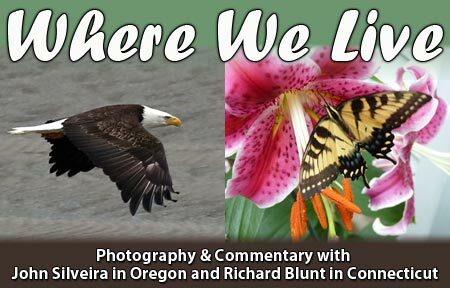 Photographing bald eagles as they breed and hunt along the banks of the lower Connecticut River is prime during the month of March. Twenty-one inches of ice and a three-foot snowpack made getting close enough to snap photos impossible, even with a telephoto lens. So last week I hit the road looking for signs of spring and a bald eagle to photograph. I found what I was looking for while driving along Route 66 in central Connecticut. This eagle has been sitting proudly on the eastbound side of the road since 1989. 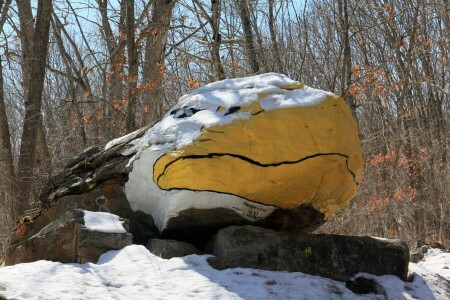 The rock was given a facelift in 2001, and reflective paint was used for the eagle’s eyes.When driving by at night, motorists are greeted by a glistening eagle eye peering at them from the side of the road. On the day of my visit in late March, winter was very much in evidence, marked by the snow cap on the eagle’s head. 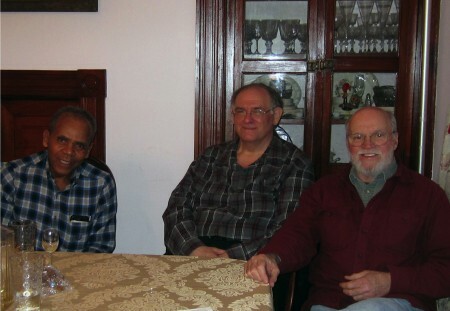 The owner and publisher of Backwoods Home visits frigid Connecticut. 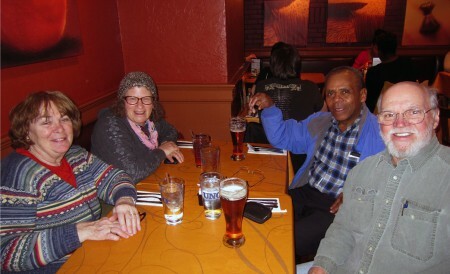 Dave Duffy and his wife Ilene drove cross-country visiting friends and family this past month, and decided to spend a weekend in Connecticut. He and I grew up in Boston, and he was also at a loss for why this winter was still so much in evidence. 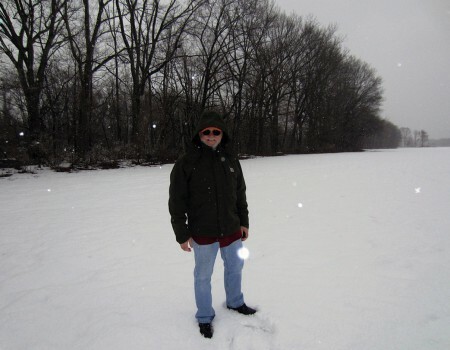 As we walked along the Farmington River near Kolp Gardens it started snowing. The somewhat milder weather in Oregon has softened him up a little, so we headed back to the car. My friends Tom and Debbie Fausel live in a large house and have been refinishing it for several years. 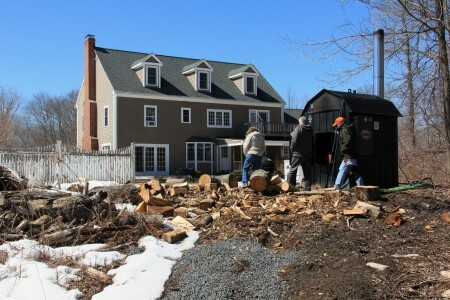 The house sits in an open area surrounded by 22 acres of woods. Heating costs, even during a normal winter, can be painful. Tom read a Central Boiler advertisement in Backwoods Home Magazine and decided that it was the answer to his heating problem. He ordered a unit and installed it himself. The unit supplies all of their heat and hot water. It also heats a large in-ground swimming pool. This winter has proven the wisdom of his decision. Dave and Ilene were impressed with the precision of Tom’s work. Dave and Ilene were leaving Connecticut for Boston the next day. Dave suggested that since the weather would probably improve later in the week, Tricia and I could join them and pay a visit to our Webmaster Ollie. The mountains of snow that were deposited on Boston this winter were gone, but cold and wind were still there. 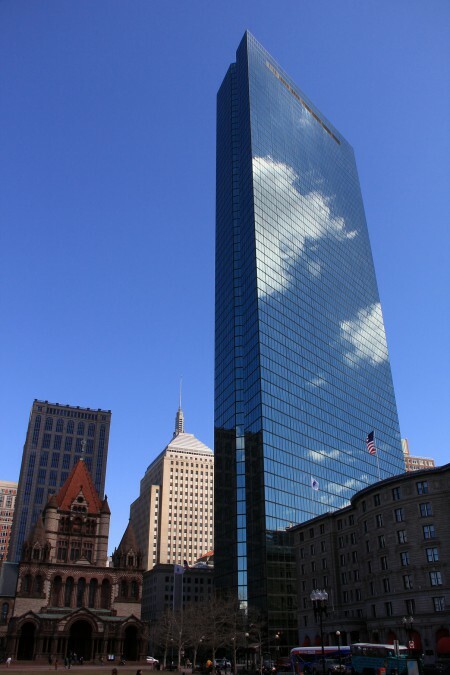 The wind was blowing so hard that it caused an eerie and very loud howling sound from the Prudential building, shown below. 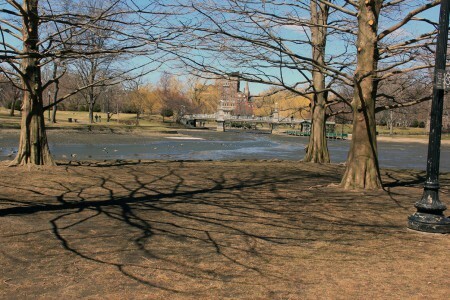 The cold winter weather also lingered over the drained Duck Pond in the Public Gardens. A beer and a good lunch in Copley Square saved the day. 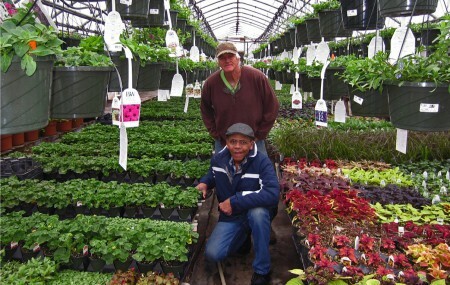 My friend Carl, the professional farmer at Krell Farms, conditions the soil of the Community Gardens for spring planting. 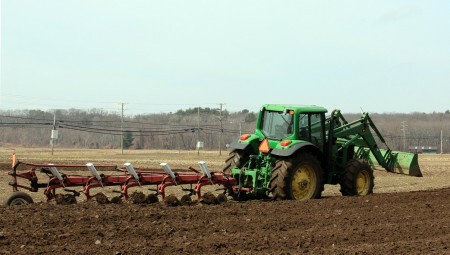 The day after we returned from Boston, Carl called to inform me that he was on his way to Kolp Gardens to plow, lime, and fertilize the soil in preparation for spring planting. This was my first sign that, in spite of the cold weather, spring was not far away. 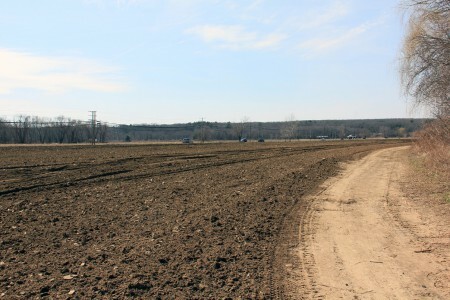 The plowed fields are ready for the town surveyors, who will map the individual plots. 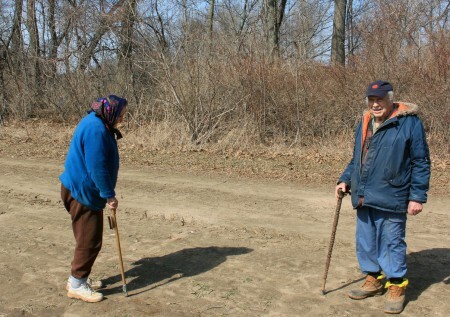 Below is a couple that have walked these fields for over 70 years in search of artifacts left by the Tunxis tribe that lived in this area during the 1700s. They systematically explore nearly every inch of the fields every spring and fall after the farmers plow. They are a welcome assurance that spring is close. Spring is alive at Krell Farms. 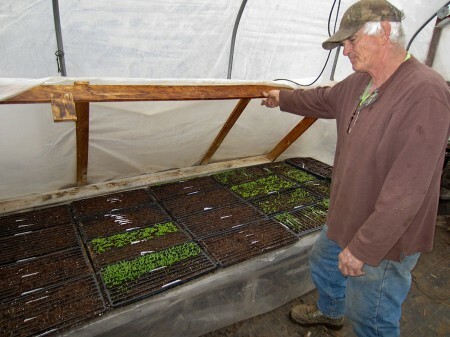 Below, Carl shows us a small section of his seed cultivator that will produce the vegetables, fruits, and other plants that he cultivates in the many fields under his care. Carl is not a part-time farmer. Farming provides a living for him and his family. 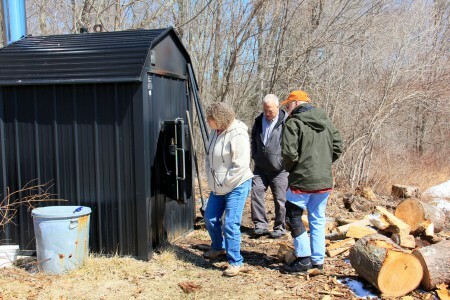 Now that spring is showing signs of visiting the Farmington Valley, I will be following Carl to learn how he and his family make this farm a success every year. If all goes as planned, I will share what I learn with the readers of Backwoods Home Magazine.